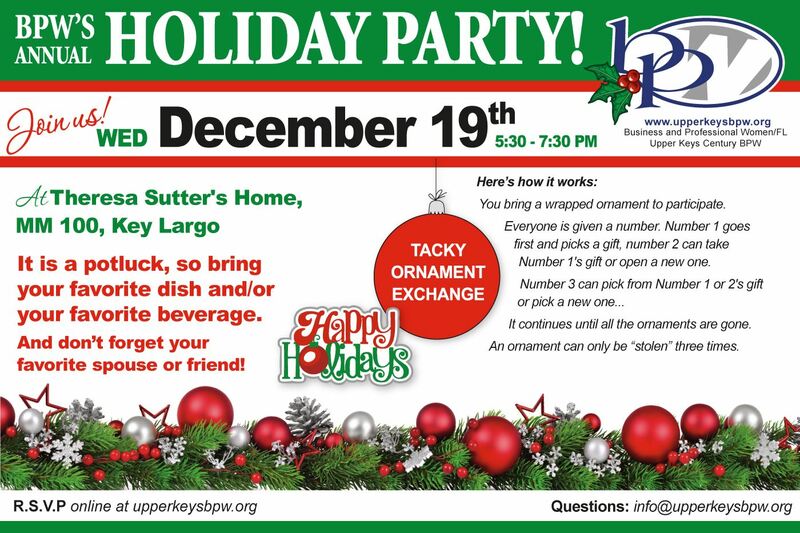 Upper Keys BPW - BPW Holiday Party 2018! Join us for the BPW Annual Holiday Party! Potluck and tacky ornament exchange, in keeping with tradition!